Pre-action sprinkler systems are specified for use in locations where accidental activation is undesired, such as in museums with rare art works, manuscripts, or books; and Data Centers, for protection of computer equipment from accidental water discharge. Pre-action systems are hybrids of wet, dry, and deluge systems, depending on the exact system goal. There are two main sub-types of pre-action systems: single interlock, and double interlock. The operation of single interlock systems are similar to dry systems except that these systems require that a ‘preceding’ fire detection event, typically the activation of a heat or smoke detector, which takes place prior to the ‘action’ of water introduction into the system’s piping by opening the pre-action valve; which is a mechanically latched valve, i.e. similar to a deluge valve. In this way, the system is essentially converted from a dry system into a wet system. The intent is to reduce the undesirable time delay of water delivery to sprinklers that is inherent in dry systems. Prior to fire detection, if the sprinkler operates, or the piping system develops a leak, loss of air pressure in the piping will activate a trouble alarm. In this case, the pre-action valve will not open due to loss of supervisory pressure, and water will not enter the piping. The operation of double interlock systems are similar to deluge systems except that automatic sprinklers are used. 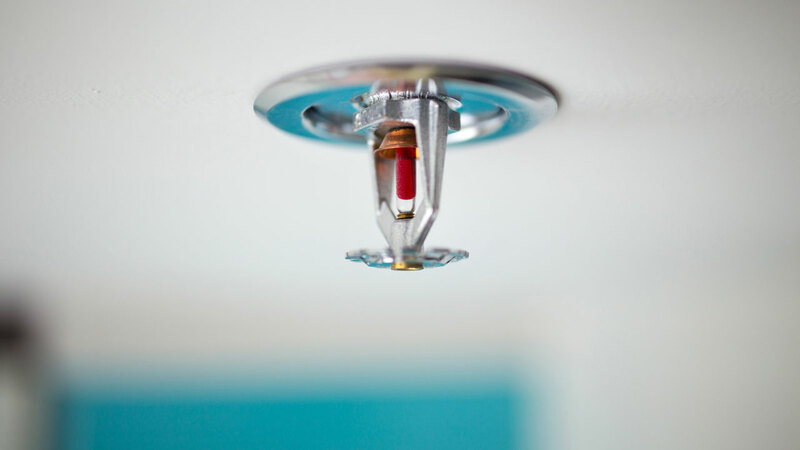 These systems require that both a ‘preceding’ fire detection event, typically the activation of a heat or smoke detector, and an automatic sprinkler operation to take place prior to the ‘action’ of water’s introduction into the system’s piping. Activation of either the fire detectors alone, or sprinklers alone, without the concurrent operation of the other, will not allow water to enter the piping. Because water does not enter the piping until a sprinkler operates, double interlock systems are considered as dry systems in terms of water delivery times, and similarly require a larger design area.